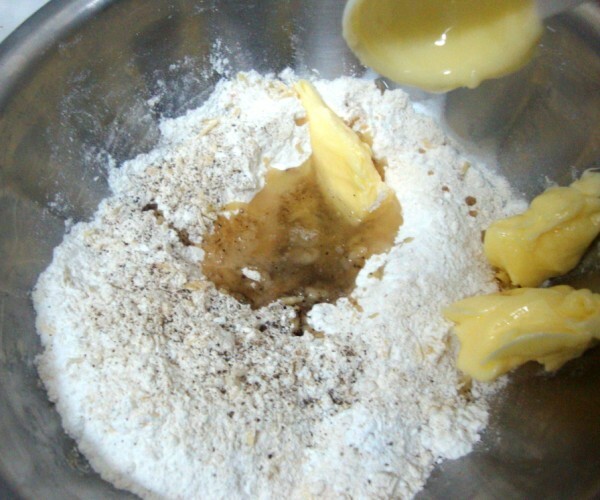 Just as in cakes, when you figure out how the basic cake works for you, you can practically do the same with the biscuit dough too. 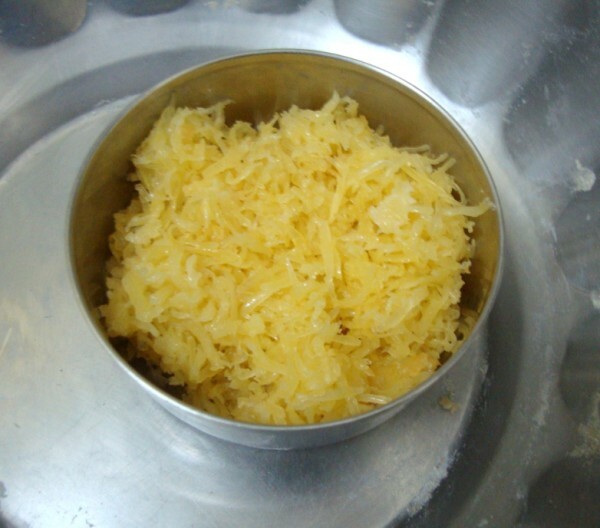 For today’s post I was wondering what I should do, then remembered the Cheddar cheese that needed to be used up. I had the mozzarella cheese but past it’s shelf life. Making this was pretty easy and I didn’t really feel the hassle I normally do when baking. The dough was very simple to handle. And I was happy that I used up that cheese well. After resting it for a while, I offered it to Daddy who said it was yummy. What else can I ask. 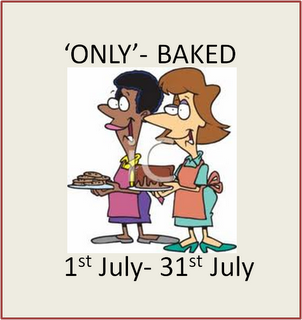 And of course my baked dishes are always appreciated by Konda and Peddu. I am not sure why Chinnu doesn’t like these but he politely says no. I hope one day he starts liking these. Grate the cheese and keep side. 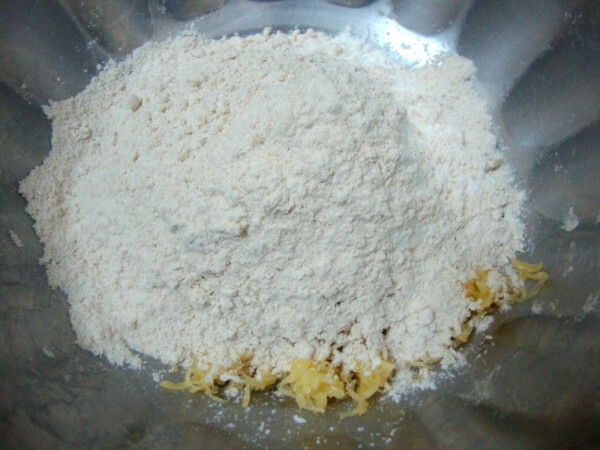 In a bowl, shift the flour together with baking powder. 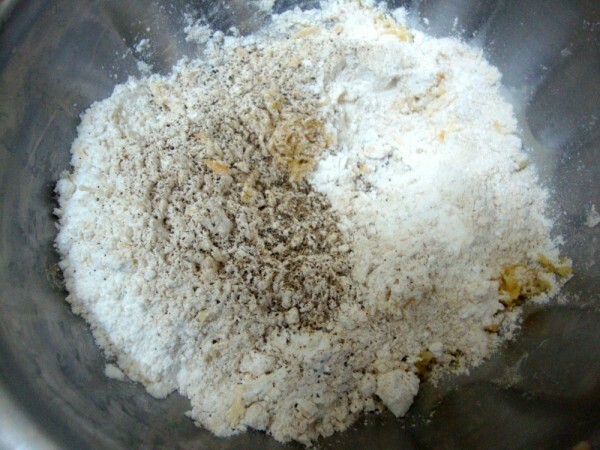 Add salt and cheese to the flour, mix well. 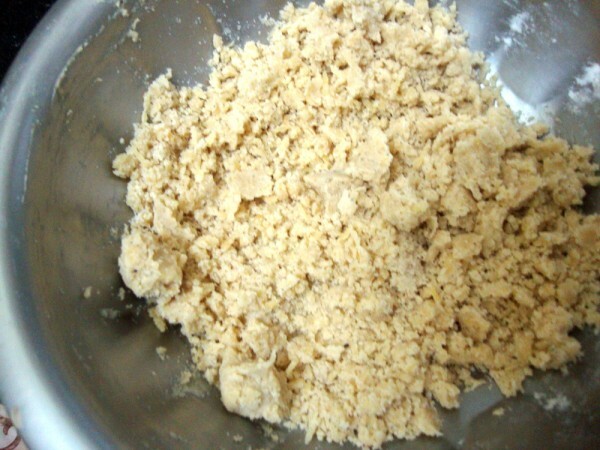 Get the butter at room temperature, add the butter and oil to the dough and crumble well. Add milk slowly to the dough and mix well. Add only as much as required to roll out a disc. 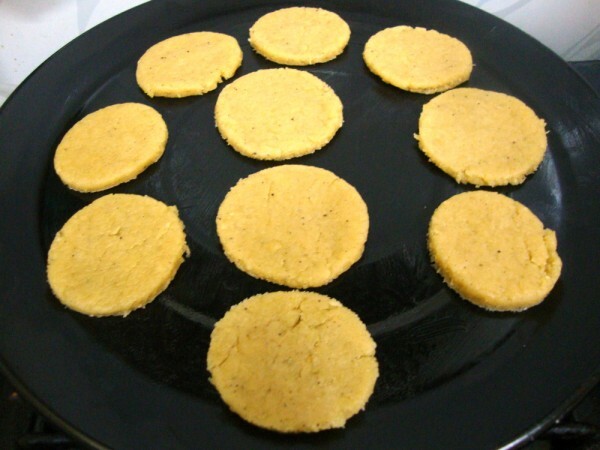 Using a cookie cutter or any or shape, press out cookies. 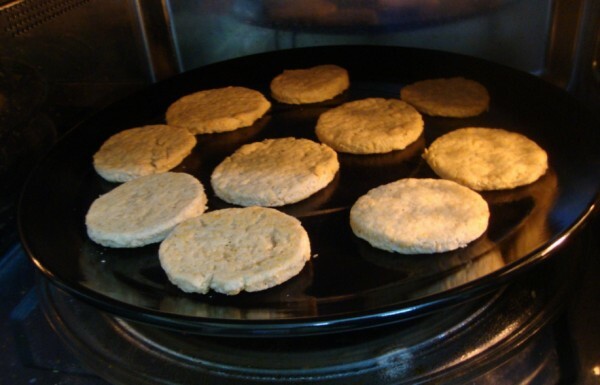 Pre heat the oven at 170 degree C and then bake these cookies on a greased tray for 15 mins. Allow it to cool before storing. Note: I didn’t count how many crackers I got, it all depends on how thin or thick you want to roll it out. You can use cookie cutter or pinch out balls and press them into thick cookies. Either ways you will have to allow it to cool down completely before munching on these delightful cheese crackers. This is so good.. loving it already..
Wow! this looks delicious and crunchy…. wow! they look so good! I have never tried baking cheese crackers. I bet the kids will love these!! thanks for the idea! I am not a fan of cheese but my kids are. I would like to give this a try for them. Cookies look yumm .. I love savory snacks. Looks yummy.Will try out soon!!! they looks sooo good Srivalli. 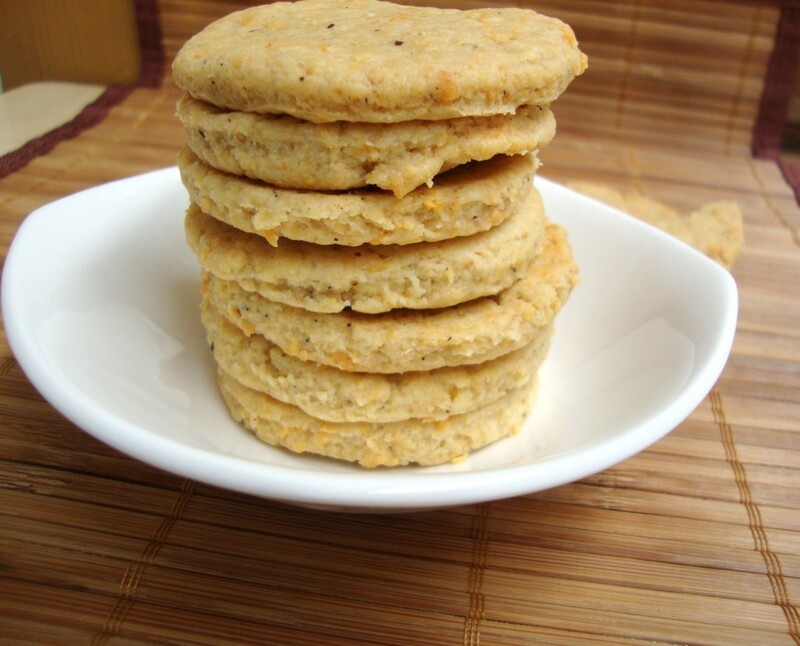 Both the jeera and the cheese cookies look awesome Valli. yummy and a new recipe to me , Valli 🙂 Love crunchy snacks ! 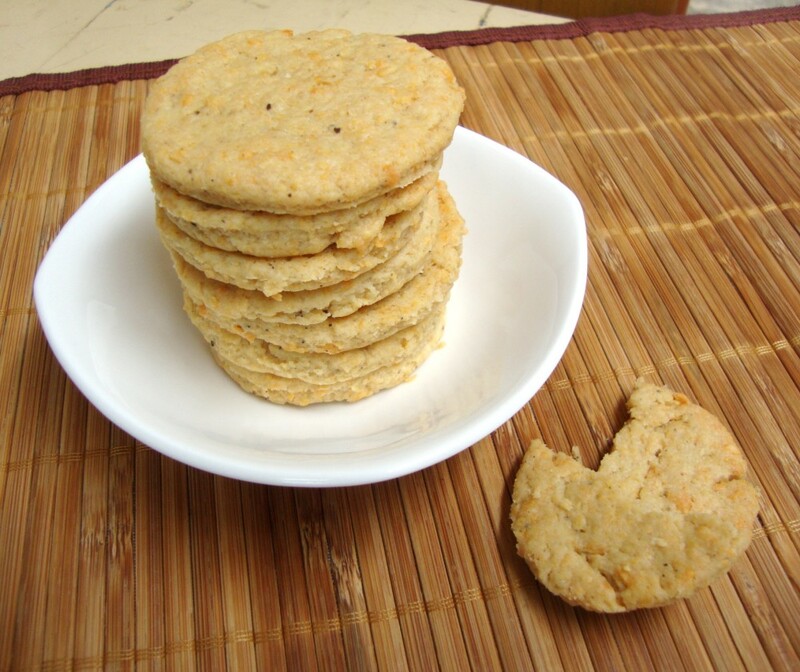 I am craving for some savory crackers right now. I think these can do double duty as snack and soup toppers. Love the stack! Wow, another savory cookie.. They look yumm..
You are tempting me with your array of cookies. Nice clicks Srivalli, absolutely delicious..
wow, what a great recipe, love it. I agree, once you figure out the basics, it is easier from there on. Lovely recipe and good clicks..